Does the exterior of your property require a fresh coat of paint? Then get in contact with A1 Naas Contract Cleaning. We have over 3 decades of experience in offering professional paint jobs to customers within the Naas, Maynooth and Celbridge areas. 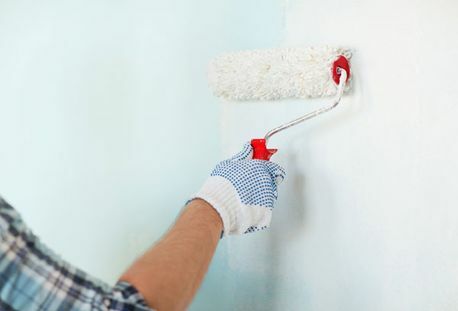 Our service involves the proper treating of walls, using sealant to ensure the paint's longevity. Our expert painters are able to help customers choose just the right paint for their property and their budget. We have extensive experience working with all types of paint from high-end brands to more economy options. Does your commercial or residential property require the services of a professional painting company? Then get in contact with A1 Naas Contract Cleaning today. So much of our service is from repeat customers who like to have their homes painted by us every couple of years. This trust our customers place in our ability is a testament to the quality and professionalism of our service. We are a completely customer focused operation. We liaise with the customer and organise a work timetable and a budget that’s right for them and their property. Our painting team always strive to minimise disruption to a household and are extremely tidy and professional throughout the painting process. Do you want to avail of our professional painting service? Then get in contact with A1 Naas Contract Cleaning today.